In the second half of the 1800’s (that is in 1873), after years of close collaboration with Vittorio Villa, renowned master binder at that time, Domenico Conti Borbone finally fulfiled his pursuit of opening his own business and he started a bindery workshop in Ratti street (presently C. Cantù street), in the very heart of Milan, facing the Ambrosiana Library. A short time later, due to the century-end urban reorganization, he moved to S. Maria alla Porta 5, little distant from the previous location. 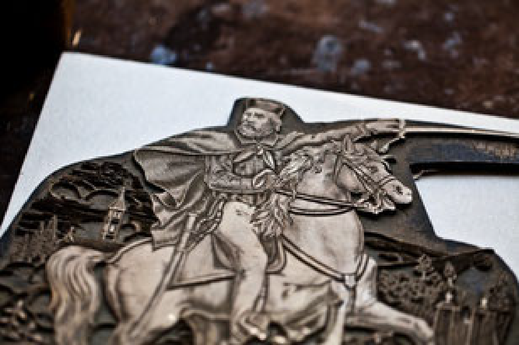 Widely known as one of the best “Master Binders”, he rapidly increased his client portfolio. 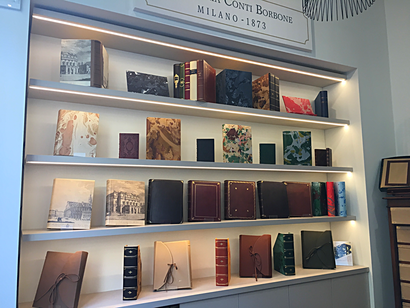 Among its many artistic bindings, the Conte Borbone bindery still holds today three prestigious volumes, exquisitely bound, titled “Memories of Ethiopia” edited in 1885 for Cardinal Massaia. Custodian of Domenico’s artistic secrets and art manuals, it is his niece Giuseppina who carried on the business with the same passion as the founder. She soon became assisted by her husband Isacco Marchesi, heir to the pastry chef dinasty in Corso Magenta. The contributing factor to their encounter was surely the close proximity of the Conti Borbone bindery to the famous pastry shop where, among a coffee and pastries, their love blossomed. In 1919 the workshop moved to Corso Magenta, 31, with its entrance and window displays in Terraggio street opposite number 1 (this name was given in the XII century to the streets located inside the defensive pit of the first Naviglio, behind the embankments made by excavating soil and used as fortification against enemy Attacks). 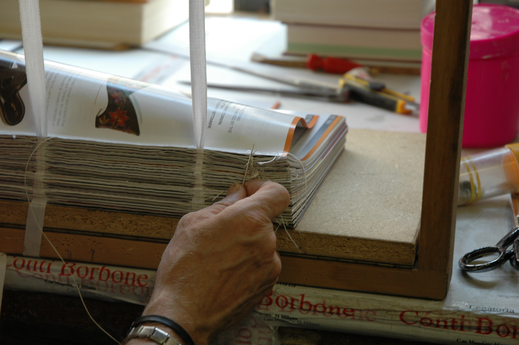 Angelo and Clemente (Nino and Tino) and today their heirs Gianluca, Gabriele and Angelo, nurture and innovate the art of binding, further keeping the unchanged quality. This historical heritage of competence is enhanced by captivating manual tools added to by one of the most important Italian collections of dies, printing wheels, etc. for gold embossing. More than 2,000 friezes are recorded and include any whatsoever kind of stylistic decoration. Marble paper is still produced by hand as well as various unique colorations on leather, emboldening a lure of old times. Even the furniture is still that of early ‘900s: the shelves where the dies show beautifully in, the old drawers containing the characters, the large working tables. The Marchesi brothers, Nino’s sons (unfortunately passed away in 2003) have officially carried forward the business since 2000. On entering this ancient workshop, one feels that time has stopped. Opposite the entrance and above, a large painting of Sant’Ambrogio seems to observe Conti Borbone’s clients in great severity. 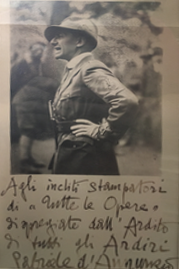 On the left, a photo with a dedication by Gabriele D’Annunzio shows the friendship between this eminent client and grandfather Isacco, “a boy of 1899". 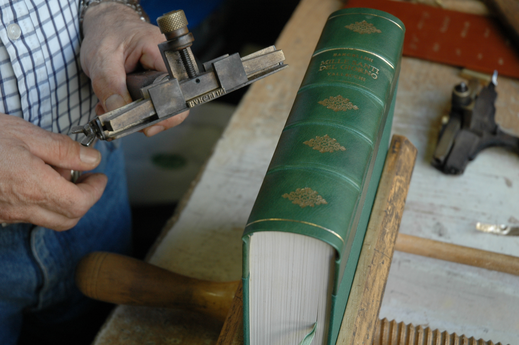 When roaming among the shelves packed with books, leathers and papers and then entering the fascinating laboratory, you can get closer to the secrets of a piece of art, which is “minor” but still art, as the Marchesi brothers are used to saying. Everything here is hand-made, from book bindings, glueing, cutting and cover making to the gorgeous decorations and printings. 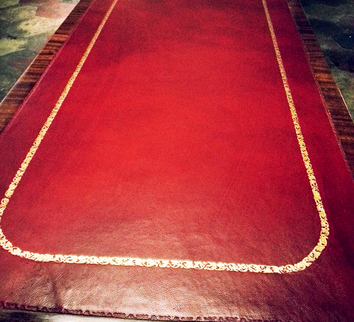 The variety of the works requested of the binder, who is an exceptional artisan, highly specialized in manufacturing and decoration – mainly in gold – of leather, is unexpectedly wide. 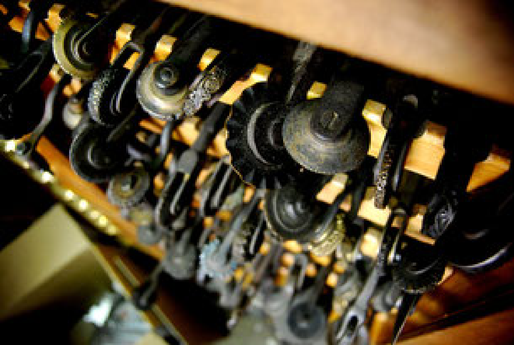 These are accurate crafts which demand capable hands, skilled in working accurately. This place has given birth to wonderful works of art such as the “Trivulziano Code” collection by Leonardo da Vinci, which is a valued duplicate with a parchment cover and lace ties, the volumes of drawings of Venice and Milan, the wonderful Michelangelo featured by Dutry’s marvelous panels, bound in full leather with stripes applied in the traditional binding of the 16th century and the “Ovidio’s Metamorphosis”, again in full leather, hand embossed in gold and dry-stone on front cover and spine. Richly embossed tables and writing tables, sofas, “capitonné” armchairs, boiserie decorated with imitation books, personalized signature books, have all been ordered for generations by prestigious clients including important aristocratic and bourgeois families as well as prime Milanese libraries. 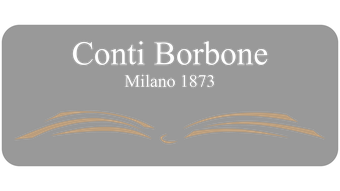 Nevertheless, present economic constraints also require a more practical and functional service, yet very accurate, that Conti Borbone supplies: the manufacture of locked canvas containers for drawings, projects or graduation thesis, the realization of which needs a limited time, usually within 48 hours. Therefore, it is so curious to see that this tool of continuous communication among people, as the book should well be, is not given a suitable “dress” which helps to bestow its character of eternity, typical of a masterpiece, manufactured by the hands of a team of artisans that, still today, interpret their love for the secrets of a piece of art which will never die. 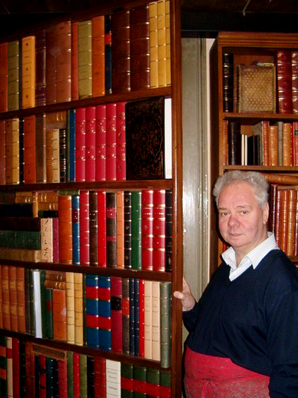 “The enthusiasm is unchanged, even after 30 years of work”, says Gabriele, of which the utmost satisfaction comes from small projects, for instance when a private client with his poem collection asks for 20 copies to give his friends as a present. This is a way to give a different gift… it is a pity to keep things like these closed in a drawer, don’t you think?